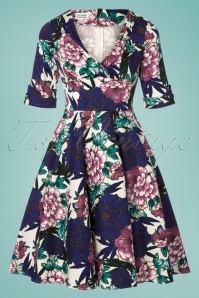 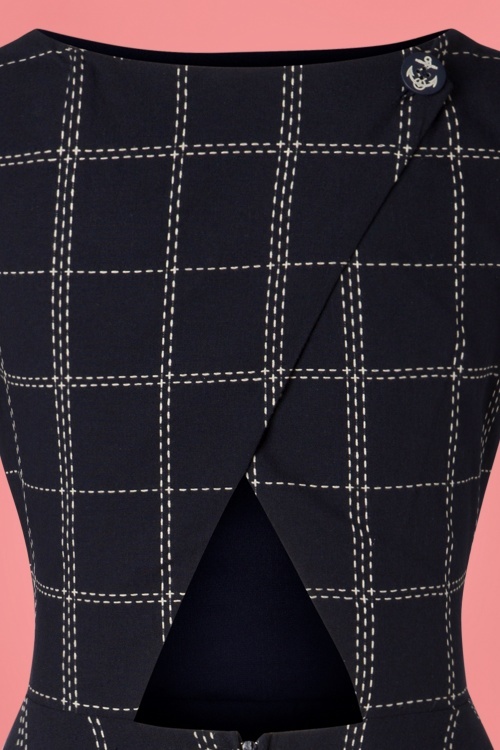 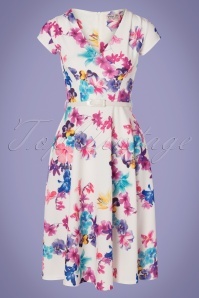 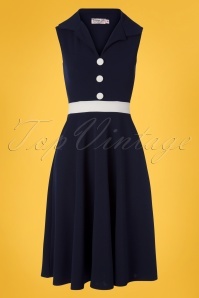 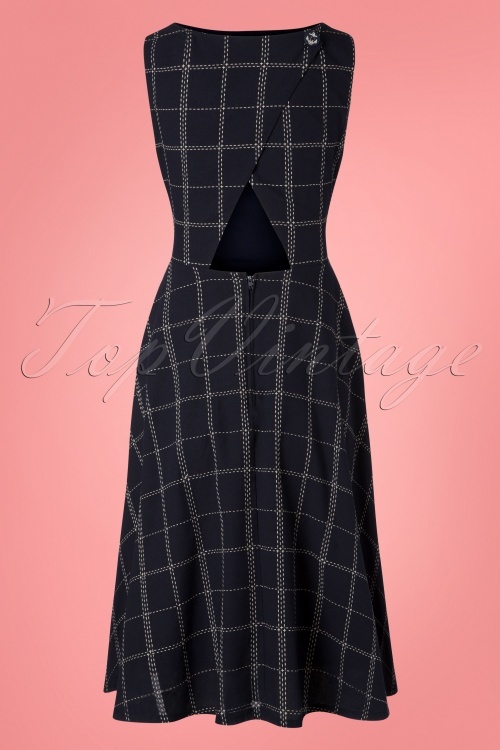 This 50s Check Mate Swing Dress in Navy will become your new summer love! 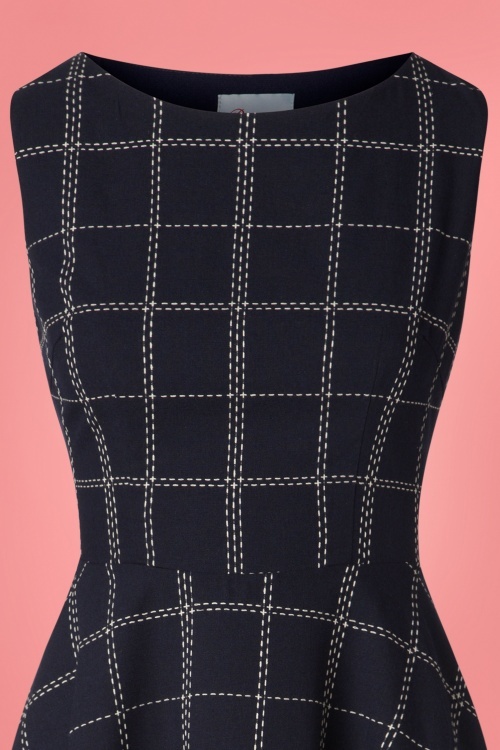 The combination of the fitted top and semi-swing skirt creates a super feminine silhouette while the back of the top is embellished with a fabulous wrap detail, showing off a little bit of your beautiful back ;-) Made of a firm, yet breezy, dark blue fabric (doesn't stretch) that's a joy to wear, even when the temperature starts to rise. 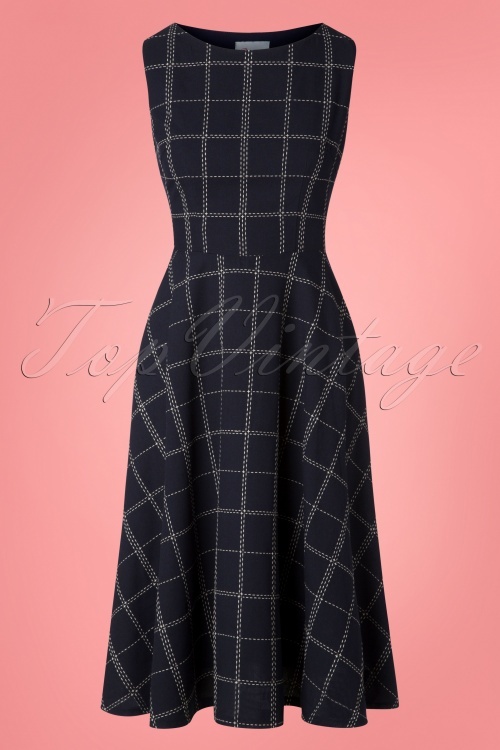 A walk in the park, a dinner date with your lover, a shopping trip with your friends... this navy beauty is perfect for every occasion!